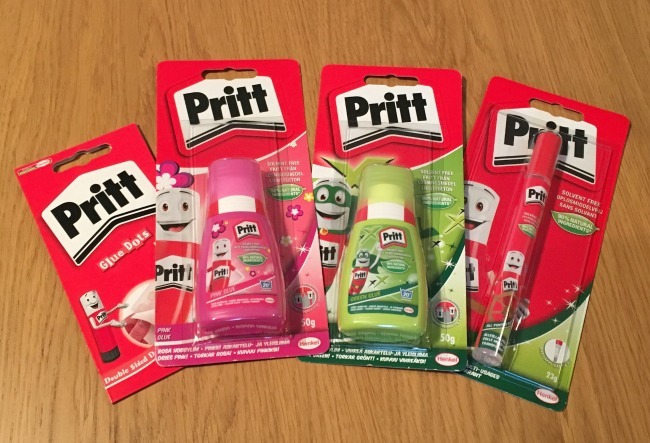 We were asked if we would like some Pritt* products to review. 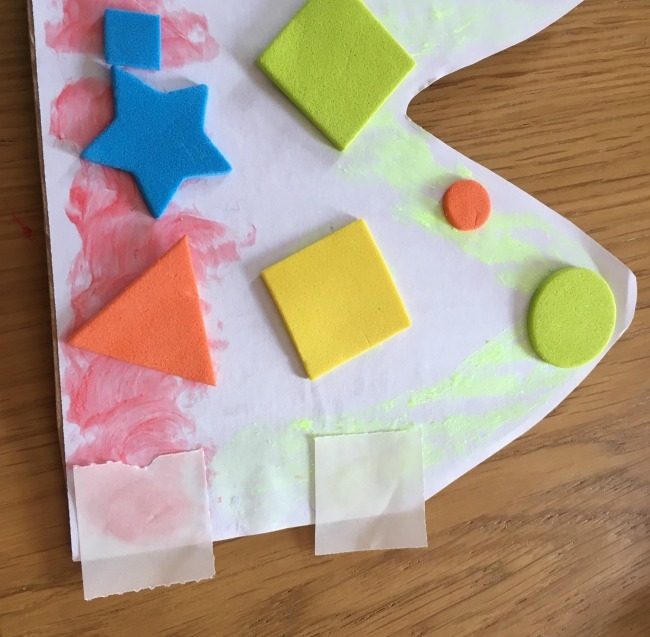 We love making things and Bear just loves sticking things so we said yes straight away. A big box arrived and inside was a bag full of Pritt Sticks and glue. Not just the original sticks but coloured glitter ones and a magic one too. We are always out visiting castles so I thought a crown for Bear would be fun. He's only 19 months old so I knew he'd need lots of help so I prepared it the night before. 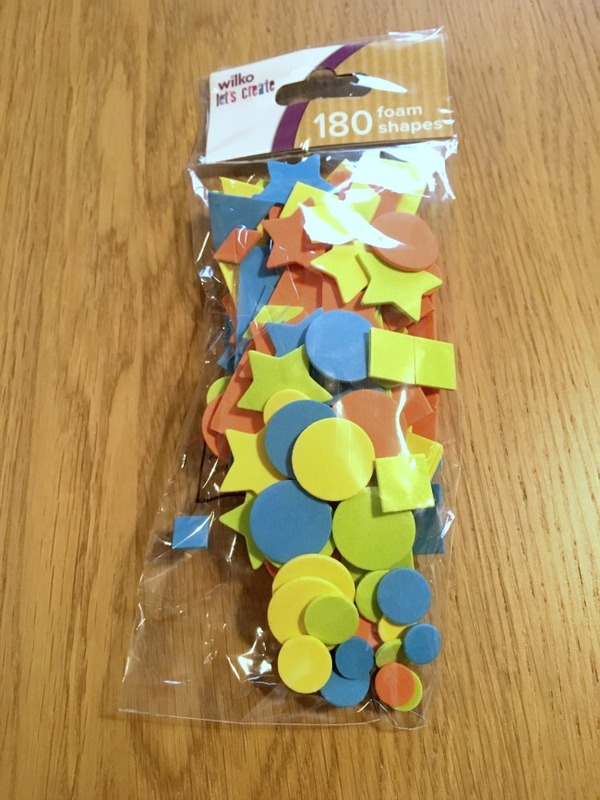 I had bought some foam shapes from Wilko that I thought were stickers and they were still in our craft box waiting for a project. They would be perfect as Jewels for the crown. We were ready to get stuck in with Pritt. 1. 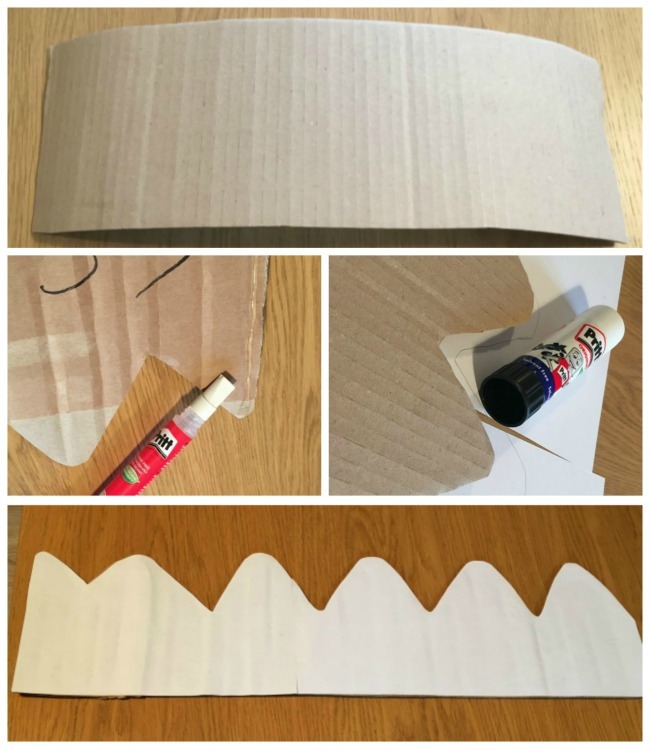 Cut a length of cardboard long enough to wrap around the little royal head. I cut mine too short so used the Pritt glue pen to stick an extra bit on. Cut peaks and trough's, this really doesn't have to be perfect. 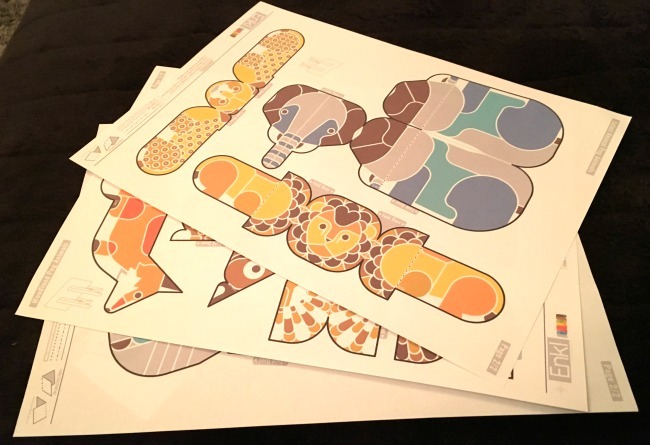 Trace the shape onto paper cut out and using a Pritt original stick glue paper to one side. 2. Rub the Pritt glitter stick along the edges. I had red and yellow and they dry coloured, shiny and glittery. Before they dry get a royal helper to stick the jewels on. My little Prince liked to add a few embellishments of his own and older children could do all this themselves. 3. When it's finished just put two Pritt glue spots on the end and wrap around. The glue dots stick immediately and are very strong. 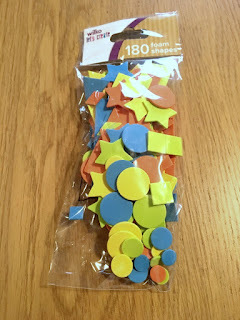 We were also given some coloured glue. This is amazing. It dries the same colour and once dry is not tacky at all. We used it to add a few more jewels to our crown. 4. 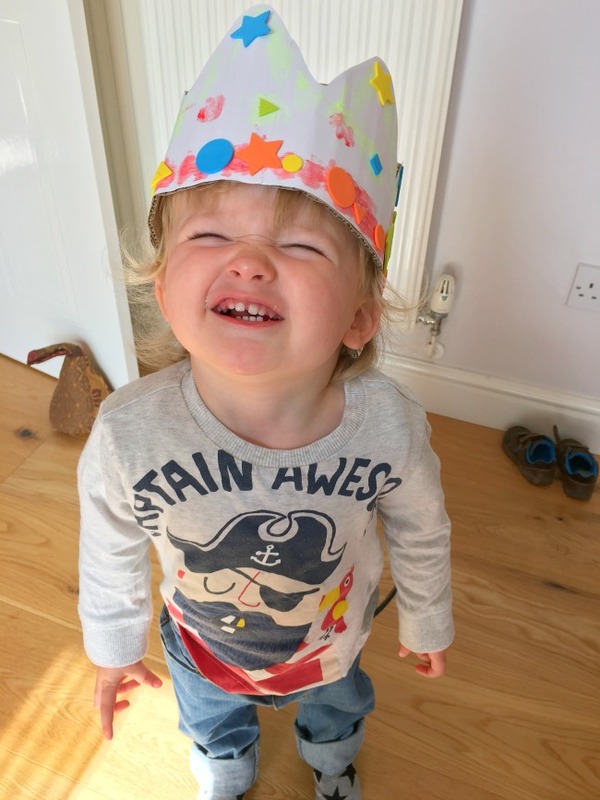 Put crown on royal head and look very pleased with yourself! 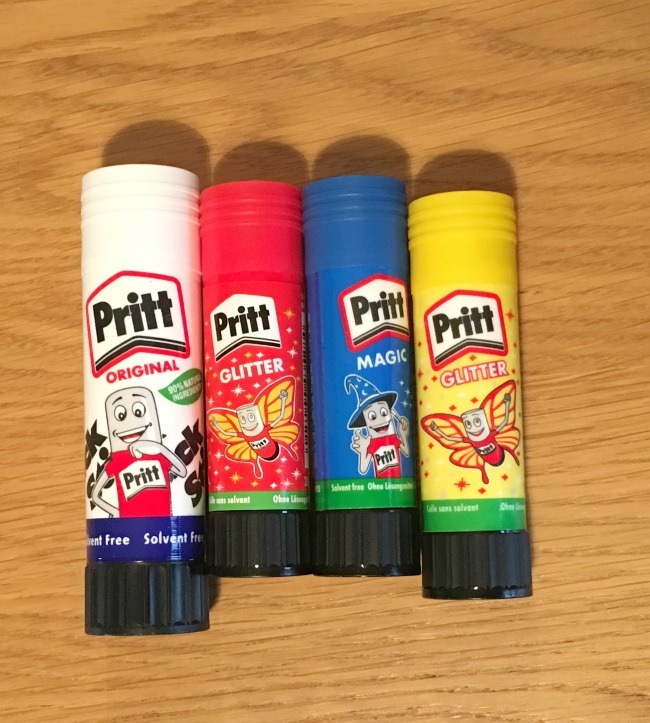 We loved the Pritt sticks. The glitter ones are great, no mess with glitter everywhere and they dry quickly. They also sent a magic stick. It is pale blue so you can see where you have put the glue and it dries clear, what a brilliant idea. All Pritt products are free from any nasty stuff and wash out in cool water so perfect for little hands. I am lucky to be a Twinkl blogger with a complimentary premium subscription and we use their resources all the time. 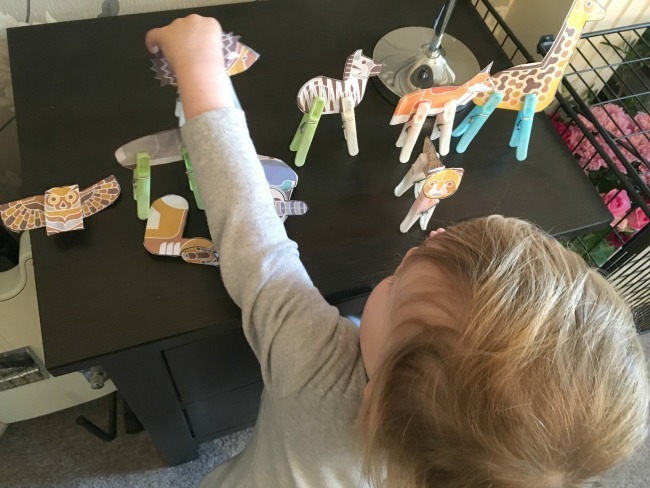 They have lots of 3D resources and one we have loved recently are their peg leg animals, Pritt sticks and the glue pen are perfect for these. 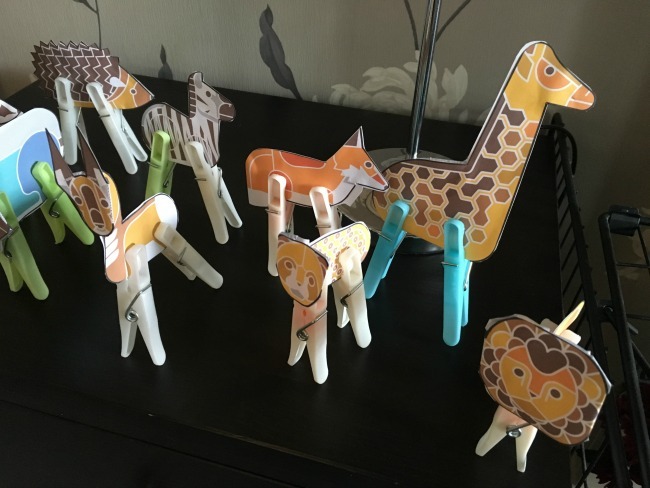 Twinkl 3D peg leg animals. Just need to cut out, fold and glue. Bear loved the animals and enjoyed taking the pegs off. 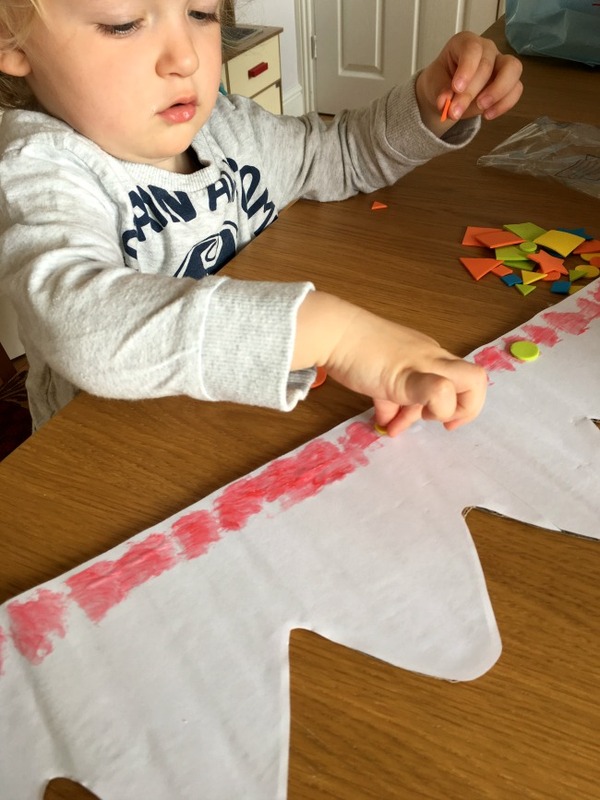 We have so many projects just waiting to get started and Pritt sticks and glue are safe, mess free and stick things together. *I was sent the Pritt products for the purpose of this review. All opinions are honest and my own. 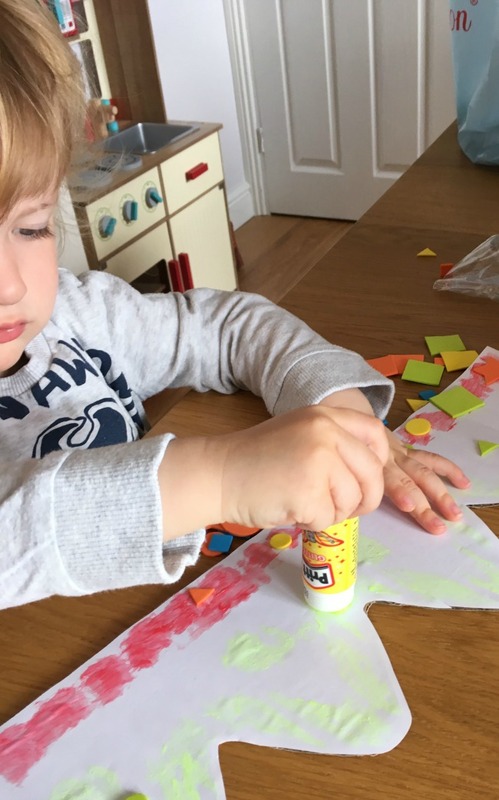 It's so easy to get creative with Pritt Stick and very safe to use too with kids. The animals are so cute! He was so proud when he put it on his head. He just loved making it.